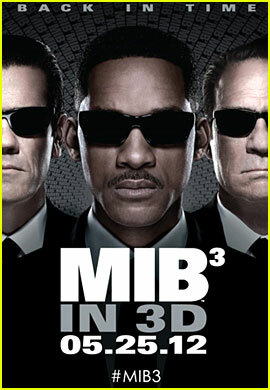 Many will remember “Men in Black” and its sudden immersion into the collective conscious as if it were only yesterday. Local theatres packed to the rafters with popcorn-toting audiences. Will Smith rapping over the contagious MIB anthem. Cheez TV addicts tuning in to the sleek animated series on lethargic weekday mornings. A whole generation of moviegoers captivated by the endearing partnership between a yapping black protégé and his strong, silent teacher. The memories are so vivid that one might forget that it came out about 15 years ago and that its stale sequel came out nearly a whole decade ago. Fast-forward through the years, pause at present day 2012 and the latest installment comes as a drug to those who have desperately and unconsciously needed a nostalgic rush in these ever-jaded times. Incidentally, time is what this film is all about. The new villain is known as “Boris the Animal” (Jemaine Clement), a one-armed killing machine who comes across as an alien Dog the Bounty Hunter, flexing a thick New Zealand accent. After breaking out of a lunar prison, specifically designed to hold him, Boris shuttles back to earth to exact revenge on a greying Agent K (Tommy Lee Jones), the man who committed him there all those years ago. Boris’ escape resurrects the ghouls from K’s unspeakable past. K knows deep in his heart that he should never have spared him. He decides to travel back in time to rectify his mistake all on his own. The tenacious J (Will Smith) discovers what happened and follows K back into 1969. When he eventually learns of the burden that the young K (Josh Brolin) would later carry, their relationship heads into an emotional twilight zone. Entertainment is the franchises forte and entertainment is what the film delivers. Director Barry Sonnenfeld and comic actor Will Smith reprise their old roles. 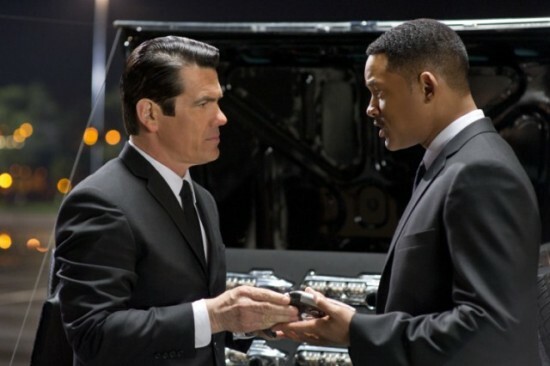 The biggest alteration is that Josh Brolin, a starry talent who illuminated “Milk” and “Wall Street: Money Never Sleeps”, has replaced Tommy Lee Jones (See “Under Siege”). This revision, for my shrapnel, pays off princely. Brolin re-establishes a faded familiarity, cultivates an irresistible laconic allure and brings a fresh face to the table. Sonnenfeld’s key action sequences, morphed in 3D, are more acrobatic and hair-raising than ever, illustrated best by a few terrifying melees atop a rocket launch pad. The comedy has ripened the most. It is more cerebral. In one hilariously bleak dialogue, the orphaned J reminisces on games of catch played with a wall, in another, past Boris and future Boris argue themselves into a metaphysical stalemate. I and II were jokey. III reveals a mature, mournful streak. The story is bathed in subtle swathes of melancholy and regret that disturbs me, despite Sonnenfeld’s best attempts to offset them. In its exploration of the trials that weathered K into a tortured soul perpetually masked in a hangdog expression, the film taps into piercing themes of isolation, regret and fate that resonate with all of us. The credit for this must go to Etan Cohen who has hewn a dynamic script. The shock twist adds an invaluable crease to the tale and will sate most audiences even though its emotional potential is squandered beyond all reckoning. The entertainment always remains though and will certainly keep you riveted throughout. 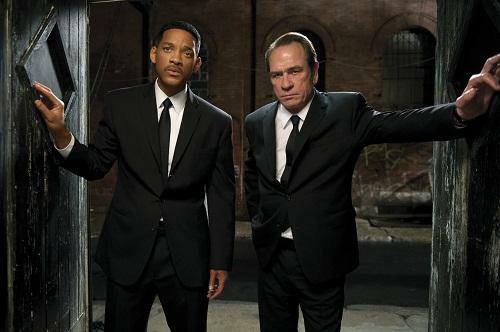 Ultimately, "Men in Black III" is a superior farce that keeps the old franchise interesting whilst commanding a high replay value in its own right.